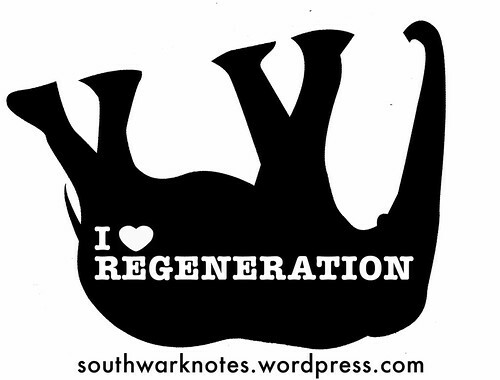 Council Spitefully Vandalise Heygate Community Gardens | Southwark Notes - whose regeneration? 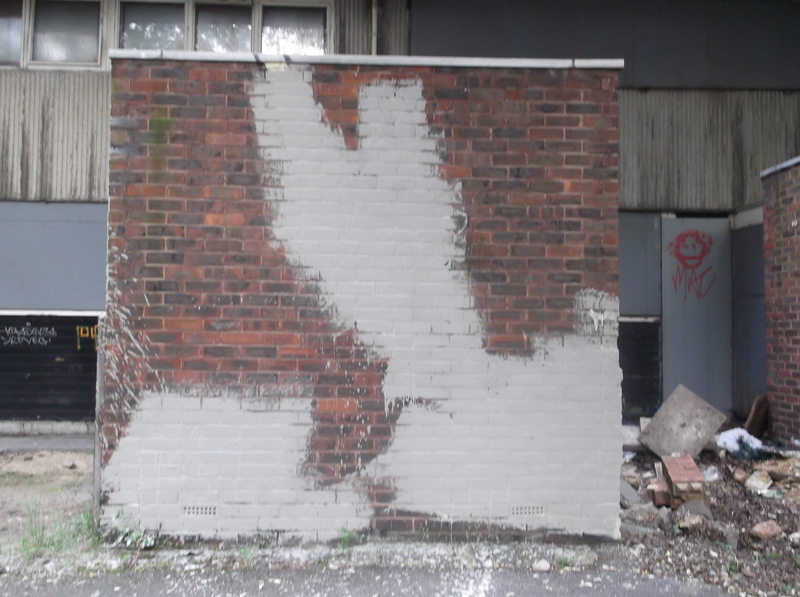 Yesterday the Council in its infinite and omnipotent wisdom decided to carry out another (1) aggressive attack on the popular Heygate Community Gardens by spitefully destroying the colourful and thought-provoking artworks that have been brightening up the dull spaces within. 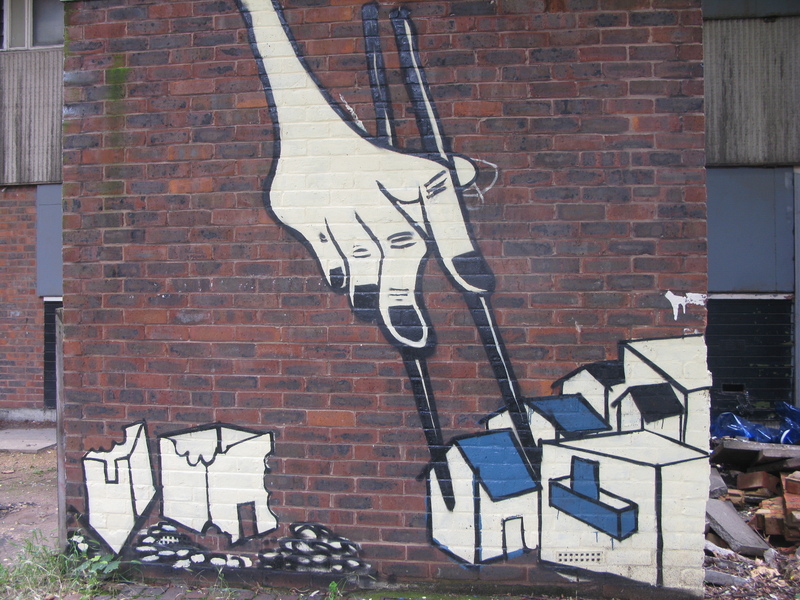 As part of people’s amazing efforts to keep the place public and enjoyable local artists have been welcomed in to use the old walls of houses as canvases to paint murals, graffiti and street art on. As you can see from the pics these were a collection of lovely, considered and sometimes wry artworks created for the benefit of all. 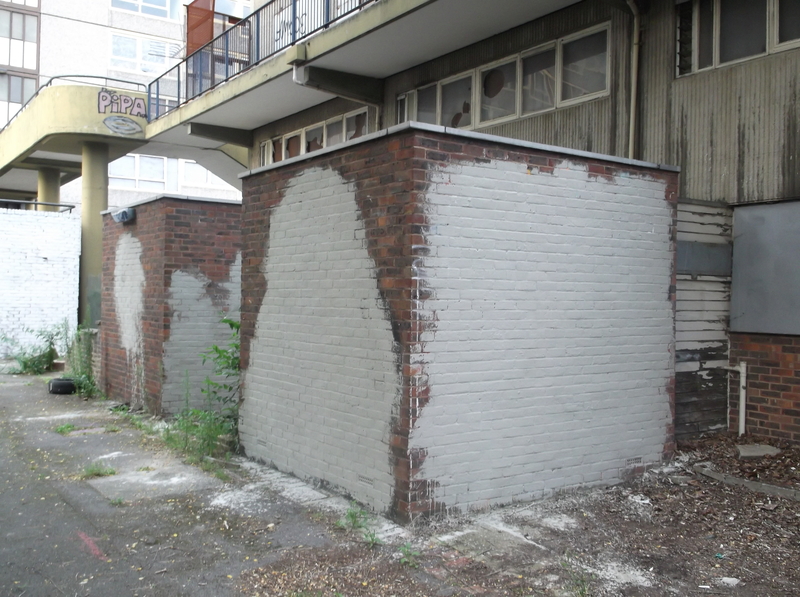 Yesterday, under the direction of Andrew Ashaye (Heygate & Aylesbury Case Management Officer), the Council aggressively decided to return the walls back to uglier and now badly painted over blank walls once again. It was noticeable that they mostly singled out for painting over the large and thoughtful pieces around the Community Gardens and pond. 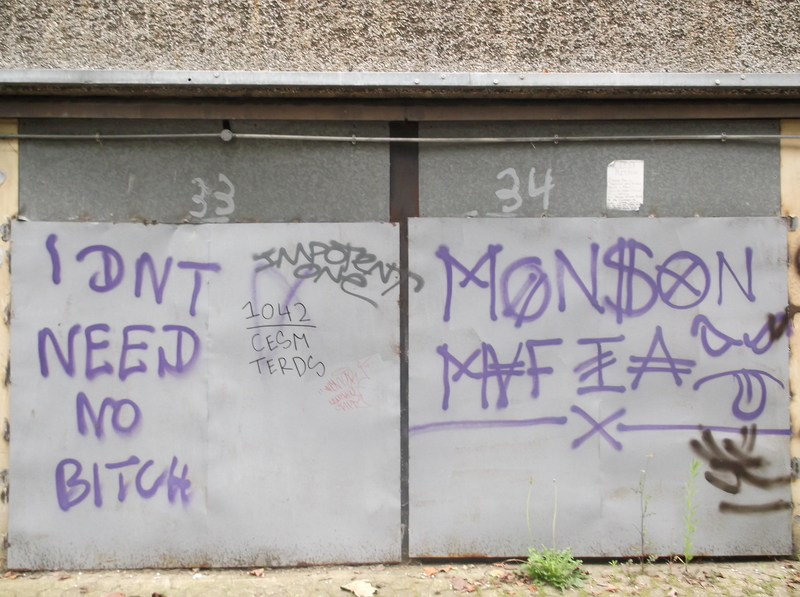 As you can see from above however the rest of the estate is still covered with scribbles, tags, obscenities and so on but these remained up after the Council had done it’s paint slapping. 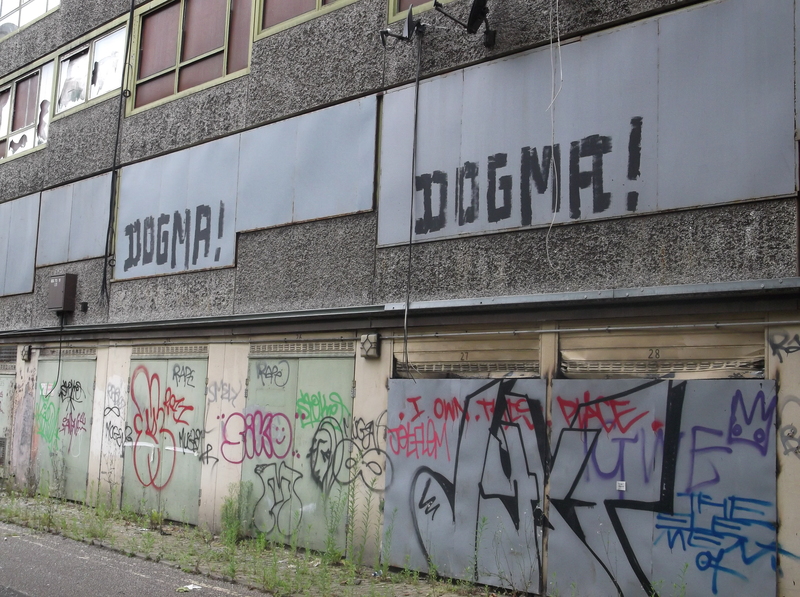 We ask the questions: What possible offence can be caused by the Heygate murals and with what mindset does the Council operate with to come and destroy local artists work without even any warning or debate? 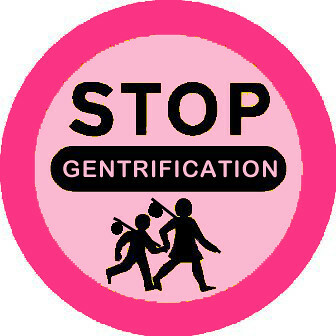 LET THEM KNOW THIS IS UNACCEPTABLE: We suggest that if you feel that this was an unnecessary, wholly unaccountable and aggressive act that you make your feelings known to those who carried it out and to CC in your email Peter John and Fiona Colley, who are the leading Council lights in the Regeneration Dept. 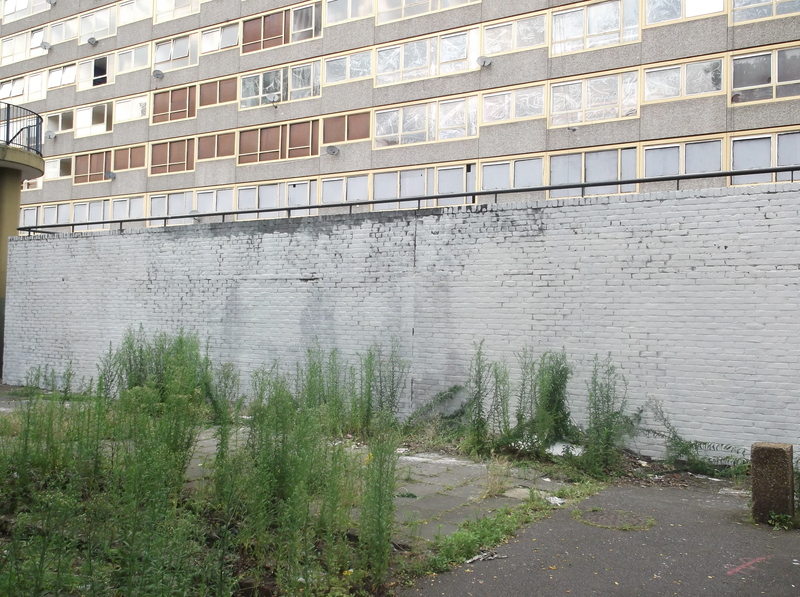 For more than two years local people have been using the green spaces within to put into practice what the Council has been twiddling their thumbs about and that is how the space within the Estate can be used for community benefit whilst the bureaucratic stages of regeneration grind ever slowly on. 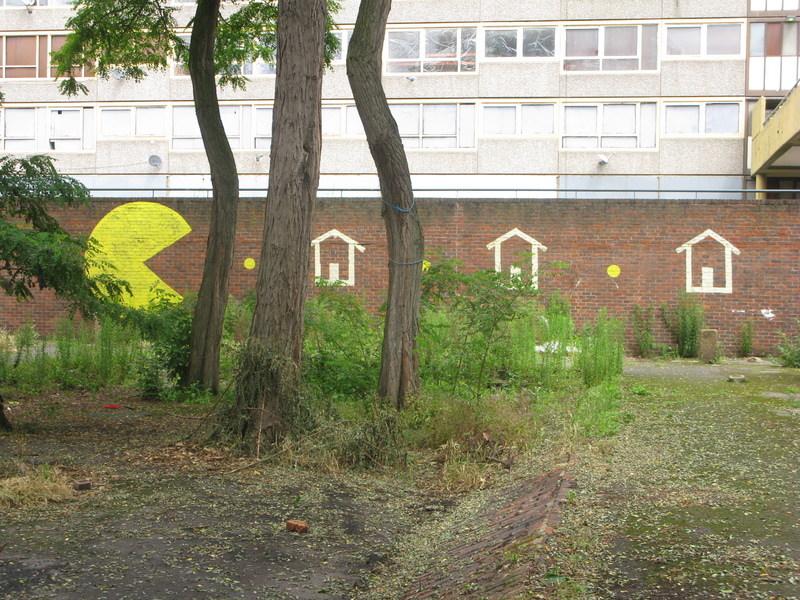 Called ‘interim use’ it means that instead of sealing up the giant forest within the Heygate to await demolition in two or three years time (2), the space is maintained for exactly the sort of the thing the Heygate Community Gardeners have been doing there all along. 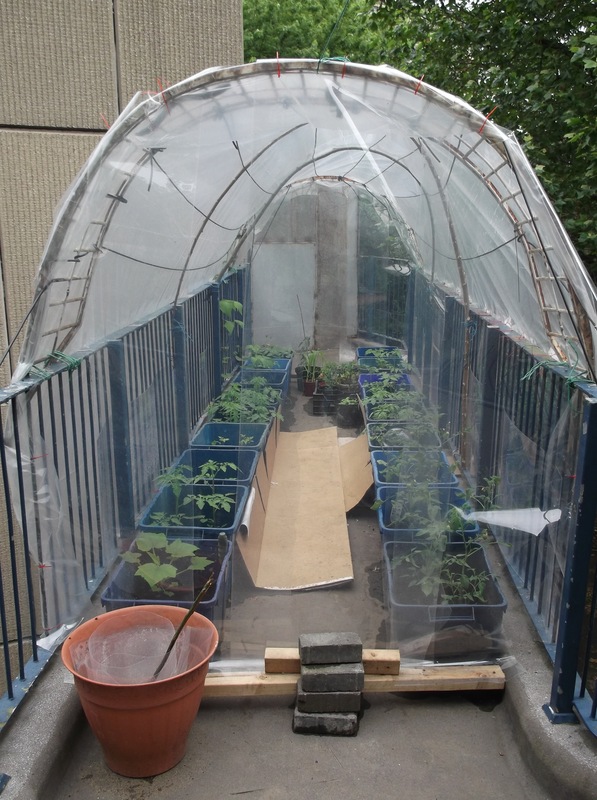 Not only does the act of growing flowers and vegetables, giving out free allotments, keeping chickens, running a pond, having growing and planting days, seed swaps and also showing films and having small social events maintain exactly the kind of things that grows communities, it also acts as a deterrent to crime inside the Estate. 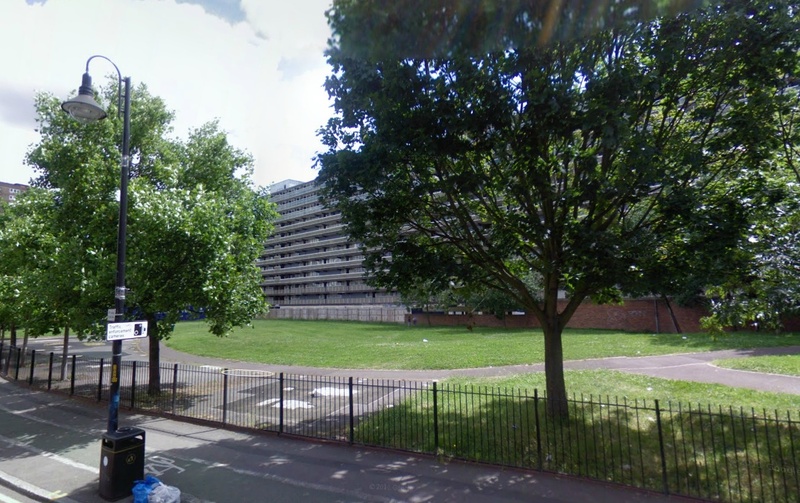 Leaseholders living on the estate have not been burgled since the community activity started something that had been a regular occurrence before. 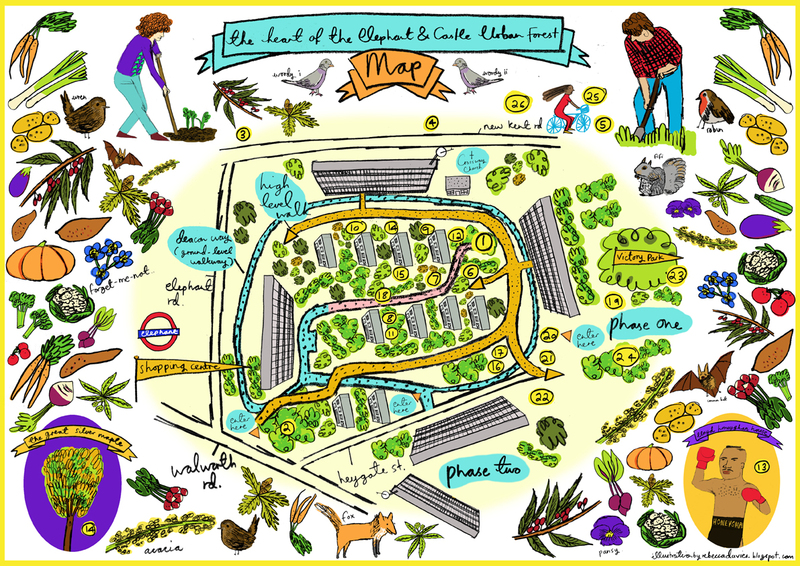 All of this local effort and hard work comes from a desire to actually see the Heygate site as still part of the public space of The Elephant area and to maintain the enjoyment to be had at wandering amongst the 400 plus mature trees inside. 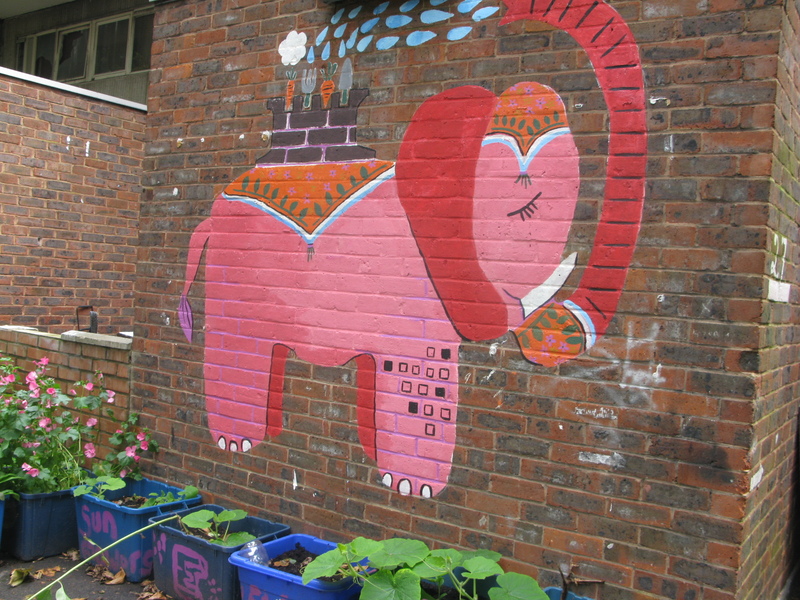 As part of these acts of growing and nurturing, the work done by artists inside the estate has been welcomed and enjoyed by all involved in the Community Gardens. They were an integral part of keeping a community spirit alive against the whims and anti-social behaviour the Council engages in that pretends to care about community benefits but by it’s actions shows nothing but contempt for local people and how they make this a much needed reality here and now. (1) REPEAT AD NAUSEUM, AD ABSURDUM! 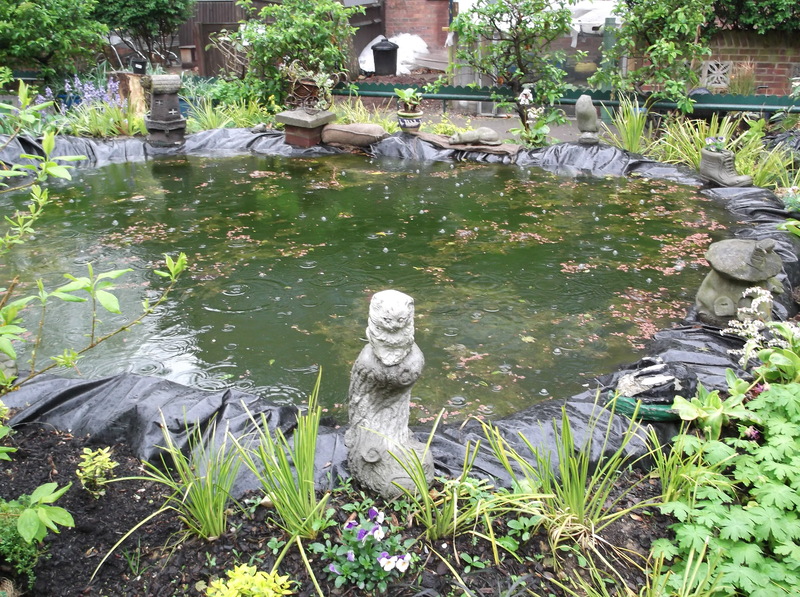 In March 2012, the Council came to the gardens and stole the pump for the pond and were threatening to remove all the exhibition stands and other objects by which we thought they meant the chairs and tables people use. 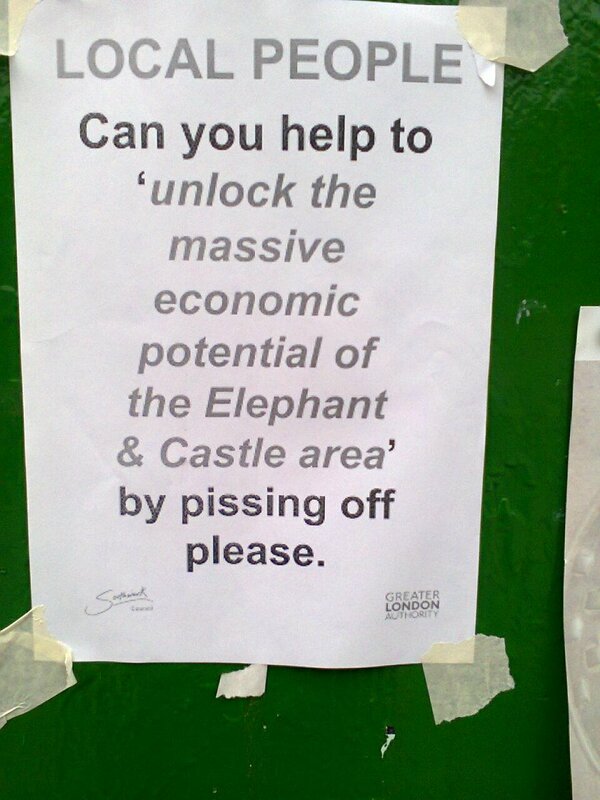 It was pointed out to them that that ‘the council’s time and resources might be better spent on things including basic estate maintenance and cleaning‘. 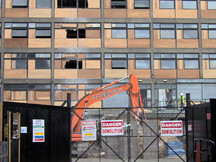 They argued that they would ‘continue to monitor the general health & safety on the site prior to demolition works taking place to ensure that the site also remains safe for the remaining residents‘. 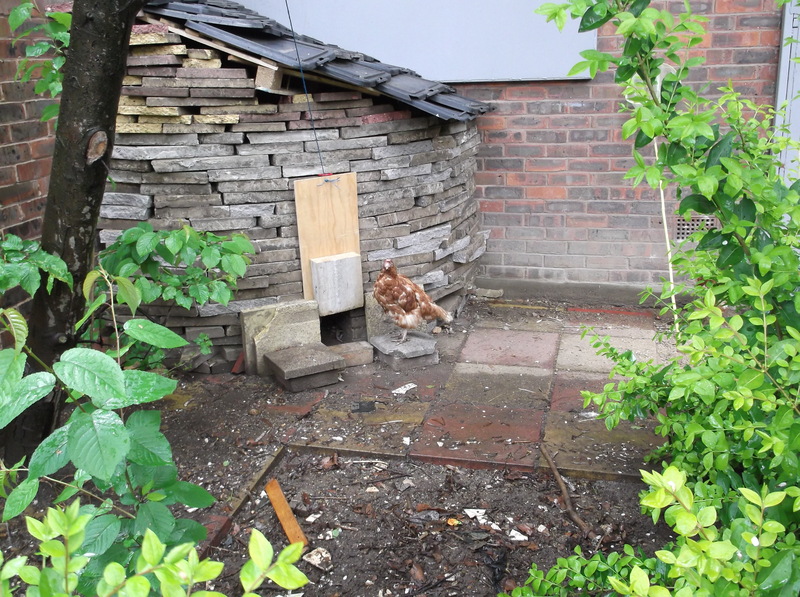 We had to laugh as the remaining residents are the only ones doing any actual looking after the site whilst the Council does nothing to the collapsing walls, holes in the paving and so on. 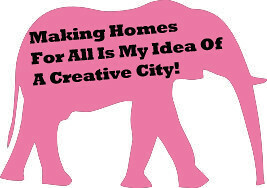 (2) OAKMAYNE DEVELOPERS ENCLOSE COMMUNITY PARK FOREVER! 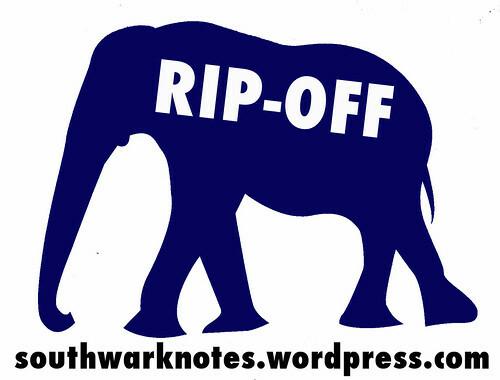 This is exactly what is happening at the vast Oakmayne development site at New Kent Rd / Elephant Rd, right next door to Heygate. 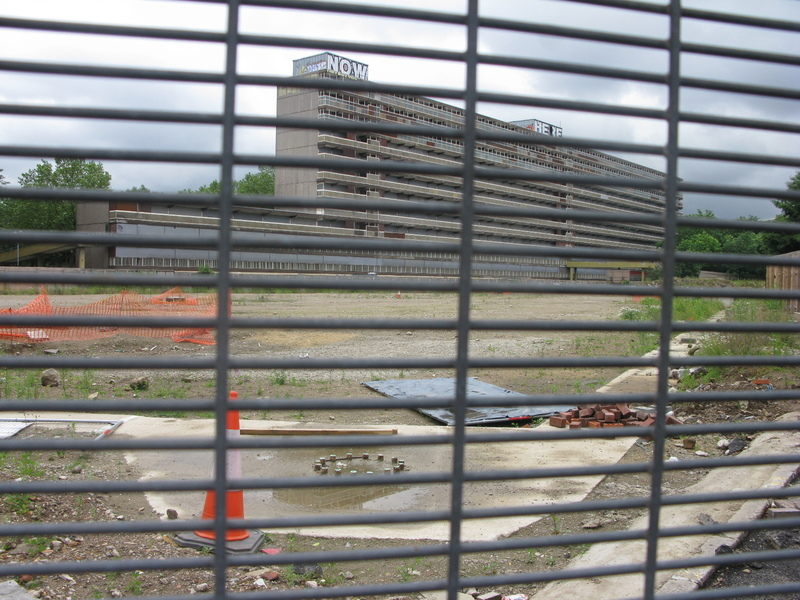 The site has now sat undeveloped for 6 years now. A couple of years ago without any local consultation The Council agreed to let Oakmayne destroy and seal off the popular open green space next door despite protests from local users and especially the Latino community who used it at weekends for football games. This part of the Elephant’s public lands now sits destroyed and enclosed as Oakmayne struggle to find the finances for the daftly-named Tribeca Square – New London scheme.